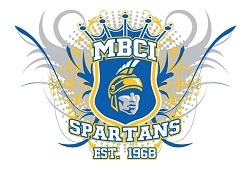 MBCI's Senior Varsity Basketball teams saw another great weekend. Both the boys and girls teams were in Brandon and the boys continued their dominance with another tournament win. The boys team is now 15-0. The junior teams were hosting a tournament with both the boys and girls winning all their games. This weekend the junior varsity boys team is heading to Neepawa for another tournament.